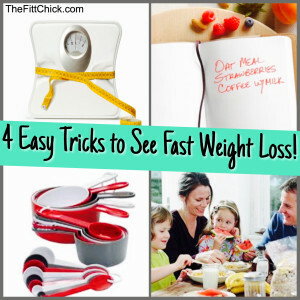 4 Quick and Easy Weight Loss Tricks! 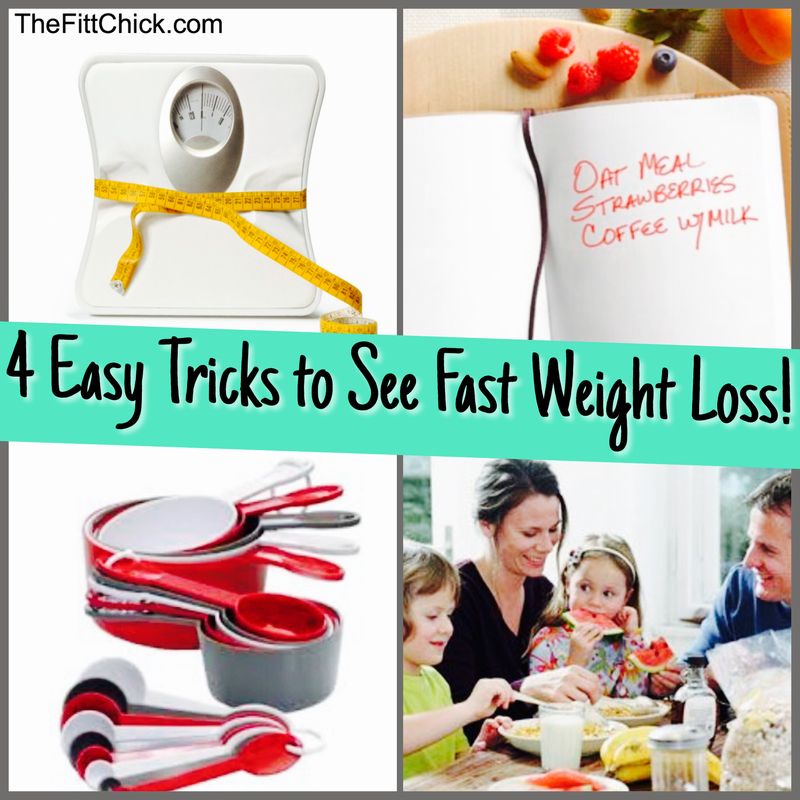 Home Health 4 Quick and Easy Weight Loss Tricks! While we all know there is no magic weight loss pill, decades of research have yielded four clear strategies for increasing your chances for success. Here are 4 proven strategies from WebMD to help you lose weight, maintain your loss, and live a healthy lifestyle. GET ON THE SCALE…Afraid of stepping on the scale? You shouldn’t be. Regular weigh-ins are one of your best weapons in the battle of the bulge! I recommend getting checking in anywhere from 1-3 times per week as weight is constantly fluctuating. EAT AT HOME…Meal prepping at home saves thousands of calories, you know what you are actually consuming, and it will help with both your waistline and your wallet. If you are heading out to eat, make sure to check out the menu ahead of time, and look if the restaurants web-site provides nutritional info. KEEP A FOOD JOURNAL…It may sound too good to be true, but there is one simple strategy that can help you double your weight loss; write down everything you eat and drink. I personally love Sparkpeople.com to track my own foods. I have used food diaries in the past, but knowing your exact calories, carbohydrates, fat, and protein is the key to keeping off the weight! KNOW YOUR PORTIONS…You may not realize it, but we live in a ‘super-sized’ culture. Looking at data from national surveys involving more than 60,000 Americans, researchers found that serving sizes have gotten bigger over the past 20 years not only at fast-food chains and other restaurants, but even in homes. One of the most important appliance you can keep on your counter is a food scale! Best Weight Loss Plan for 2016! Make Your New Years Resolution Stick! A 50 LB Weight Loss You Have to See!